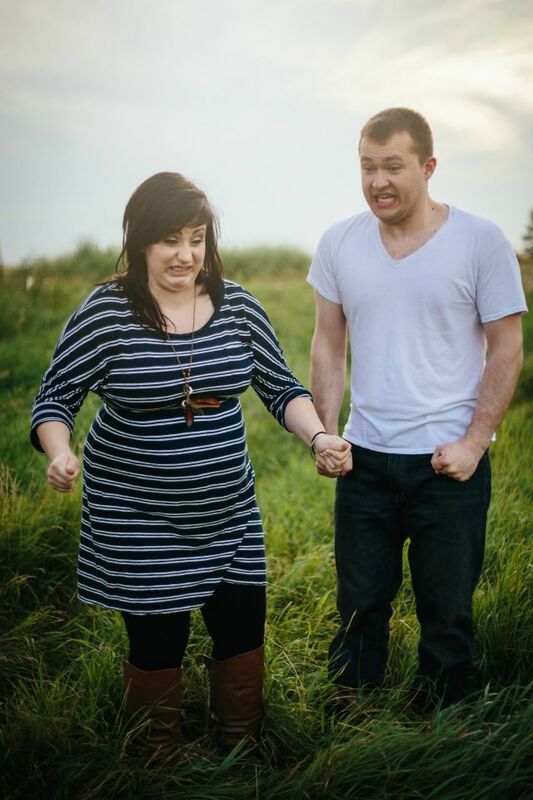 Taking maternity photos is the perfect time to reinvent the wheel. Meaning, while you’re definitely going to cherish a beautiful shot of you, your partner and your baby belly, your friends and family are probably also going to get a kick out of a few weirdly candid snaps mixed in. Is she practicing her push face, or is she just sick of standing in a field all day? 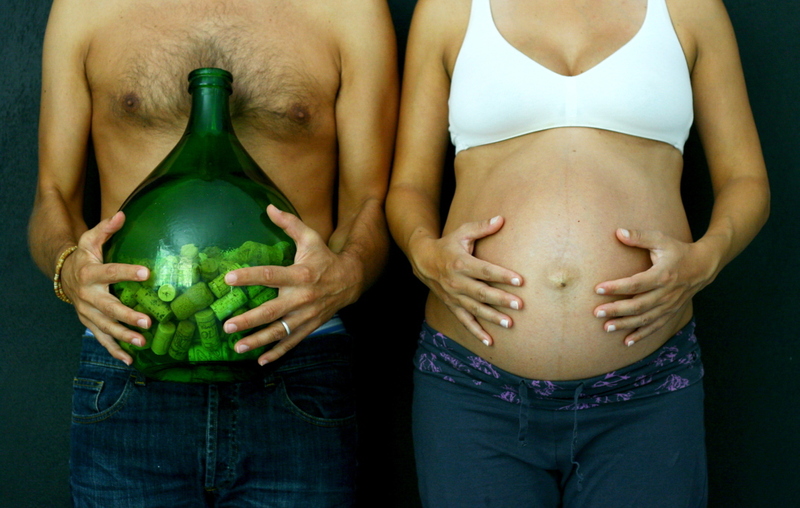 Either way, we love this mom-to-be’s commitment to character. Call it brave, or call it disturbing, but this couple has some cojones. Normally, the mom is the one who has to take it all off for the pregnancy photo shoot (for the sake of the art), so we appreciate this dad pitching in. 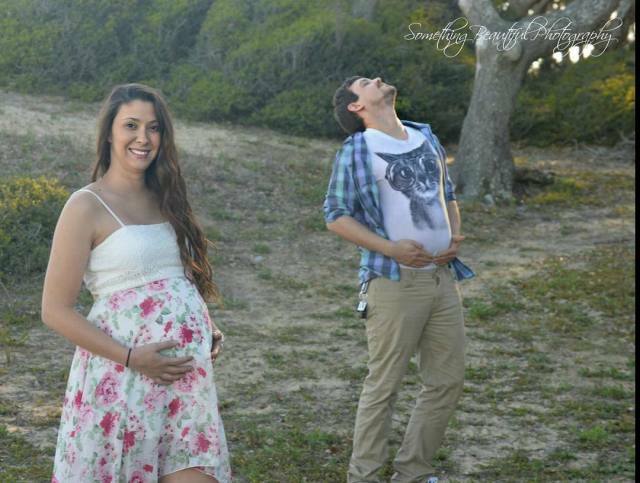 Speaking of dads who are all in, this dad appears to be totally supportive of his partner’s pregnancy — so much so that he’s upstaging her in the maternity photo shoot. Hey, the only thing that’s going to get you through parenting in one piece is keeping your sense of humor. 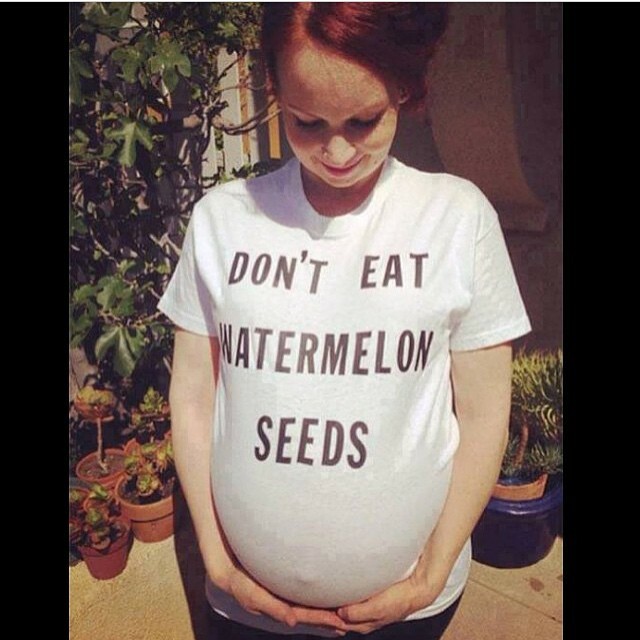 Wise words — and a super adorable pregnancy announcement, if we ever saw one. But really, better safe than sorry.